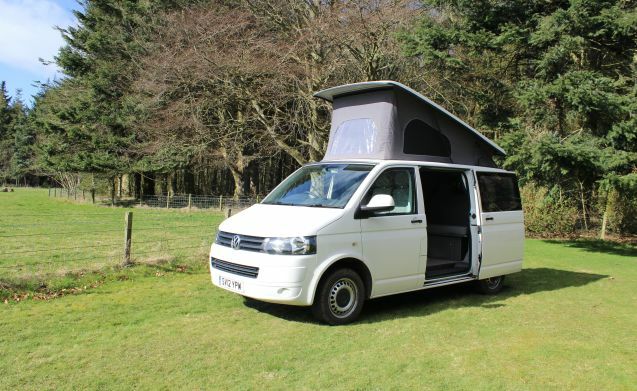 This is my VW camper van named Bonnie, she is a beautifully finished van with a pop up roof making it a 4 Berth campervan with a very spacious bed up top and an easily set up rock and roll bed down the bottom. 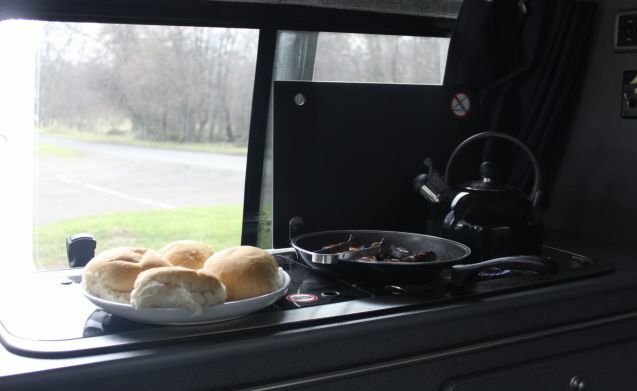 Bonnie is equipped with a 2 burner cooker and a stainless steel sink with running water, all of which can be used on or off grid. 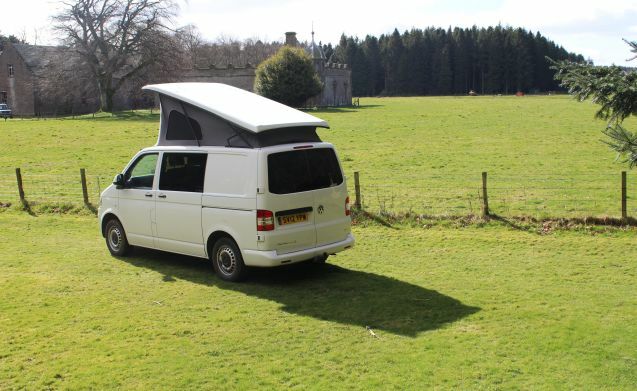 The van has a hookup point also, so can be plugged into 240v plugs for camping on campsites or 12v for wild camping with the use of a big Leisure battery fitted. 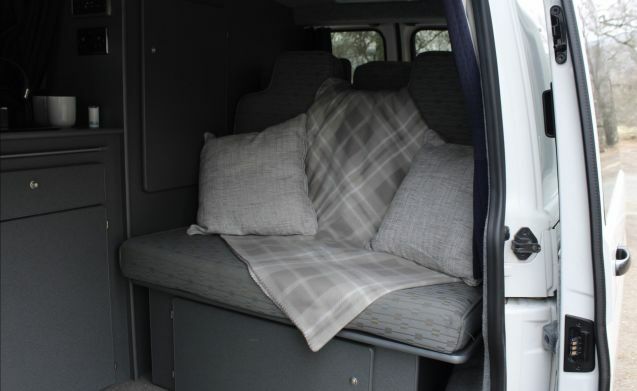 The interior is finished off in a very modern way and is an all round great van ready for your adventures! Insurance is included in with the price of the booking so you dont have to worry about sorting out your own insurance as it is all included, as long as you are between 21-75 years of age and have held a current driving liscence for a minimum of 2 years. 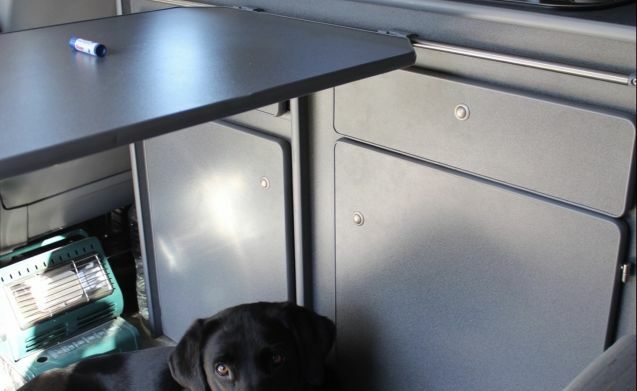 Dogs on your trip (£25) for extra cleaning included. Bed linen (£30) bed linnen can be provided for however number of people staying or you are more than welcome to bring your own bed linen. 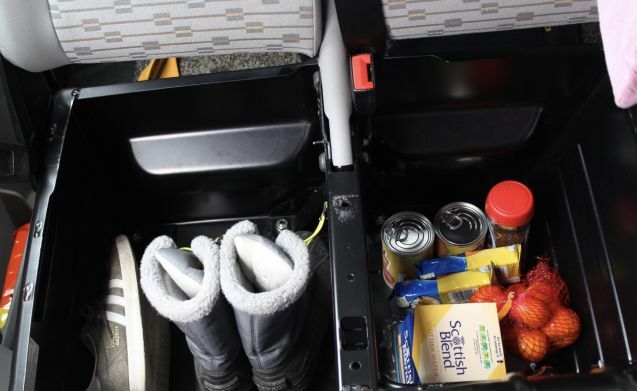 Everything else will be provided for you so your trip is as stress free as possible. Any queries or questions dont hesitate to ask. Our insurer requires that the deposit and deductible (£600) be paid directly to the advertiser (to ensure clear and traceable payment) and not to Goboony. Goboony is not liable for any dealings with the deposit. 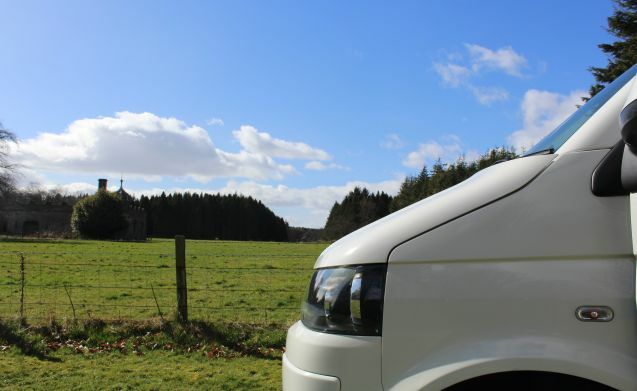 You can still use the Goboony Carefree Travel product, but the deposit must still be paid to us in full and an extra deposit of £150 has to be paid to Goboony. Any claim against the deposit will be dealt with by us first, after which you can make a claim on your Carefree Travel insurance via Goboony.